This facility will help the user to make payment of Government taxes and non user should have Internet enabled banking account for e payment. This is useful for users who pays taxes less frequently. This is a 24X7 facility and citizen can make the payment any time of the day. On-Line Filling of single challan form facilitates minimum fields of the challan to be filled. Instant online receipts for payment made and instant online banks transaction number becomes available. One can pay personal taxes as well as behalf of the firm,company and others. The target audience is unregistered user/ Guest user. This module has been developed taking into consideration the requirement of the user. Go to the official website of Mahakosh Department, Maharashtra. Click GRAS link available in the list of applications in the left panel of website. Go to the link Pay Without Registration. Top Four Departments Having Highest Transactions will be displayed. You can select from any of these departments or Type Few Characters of Department Name in the text box. Then click on submit button. You can also skip this selection and go to normal page of payment. Enter the amount and total amount will be calculated as per your entries. 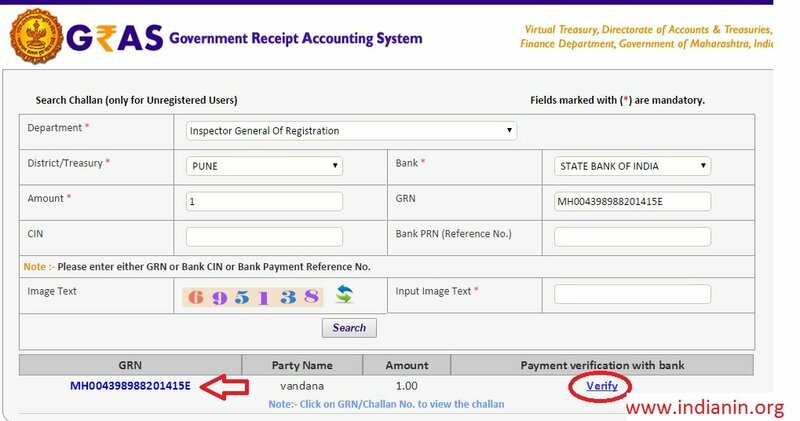 Enter Department Tax ID & Name in Payer Details section. Select e-payment option when you have internet banking account with any of the available banks on this portal to transfer the amount online to governments account. Select Payment Across Bank Counter/Deferred Payment option when you don’t have internet banking account with any of the banks on this portal and you want to pay challan across bank counter. Customer will have to pay the payment gateway charges. If you are a new user, please register by following the below steps. Go to the link of GRAS. Click the new user registration available under the login section. Minimum 8 Characters are required. Step 13 : Type the characters you see in picture. Letters are case sensitive. 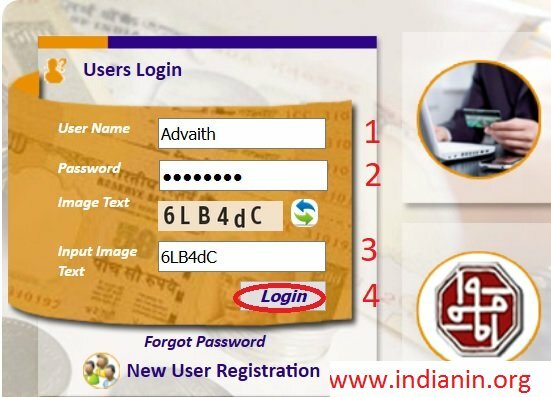 Registered user can login with the following details. You can search challan which is created using Pay without Registration Option ie this is only for Unregistered Users. User must know the GRN Government Reference Number (GRN) generated on the Challan to uniquely identify the payment to be made by the user. User gets bank CIN No. of that respective bank after the successful completion of the transaction. CIN (Challan Identification Number) is generated as an acknowledgement for payment made online. 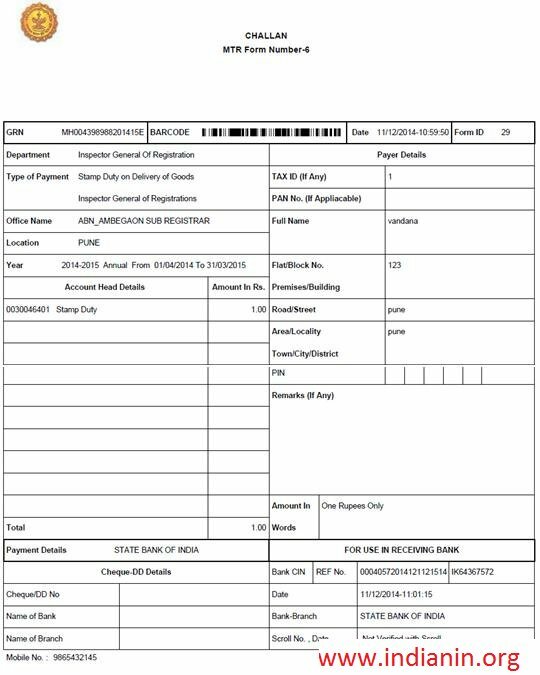 If user does not remember CIN then please check it in respective bank transaction by login net banking account of respective bank. User gets bank Payment Reference No. of that respective bank. 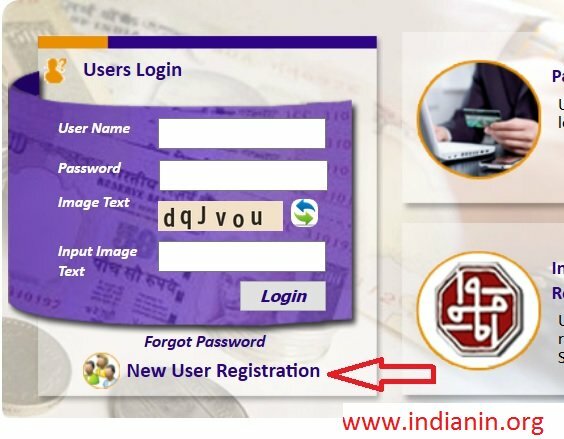 If user does not remember PRN then please check it in respective bank by login net banking account of respective bank. Please update the bank CIN by clicking on “Verify”. Click on GRN/ Challan No to view the challan. After verification you will be receiving the following screen with status as success. Again follow the same process of search challan. Click on “search button” user will get the following screen. Click on GRN No to view your challan. 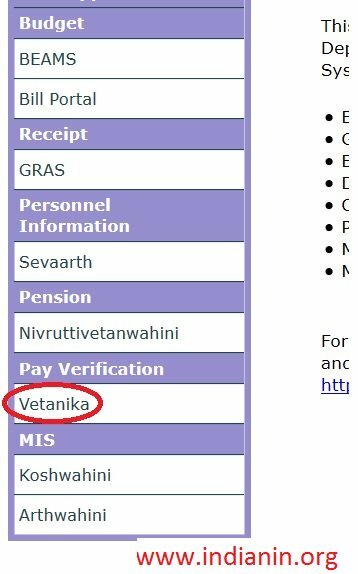 Go to the link of Vetanika available in the official website. Click Track Your Service Book Status link in the newly page opened. For profession tax, which department should I choose?